Well, its Hump day, and seeing as the next day is Thanksgiving, some of you may have some time on your hands whilst everyone else is asleep from eating too much Turkey. So what I have done here is a compilation of music I have liked on the internet, and hopefully there may be one there you will like. Below, this old geezer knocked up a guitar out of timber from the Barn door to a tree outside and boy that Blues Slide is a great riff. OK Below is Little Toby Lee, this kid can shred like the best and what a great Dedicational play to Malcom Young of AC/DC, this kid is Dynamite. I so wish I had a millionth of this lads talent, so super cool what a brilliant guy and good luck to him, not that he needs it, such passion for playing. What I wanted to show was just sheer talent at any level, I wanted to play the drums and thought I would be great, I mean I can tap a pencil to anything, had a go and what the heck, the coordination is so hard and if I had a hat on, I would take it off to ALL drummers, so this chap Below is Jordan Cannata and this 3 minutes of drumming is super cool. You may not like Drums but you cannot get away from this guys speed and dexterity, Right on mate. Next up is a buddy of mine who I knew back home in London, he has a great band and this is just part of the things he can do, Dean has been playing since he was knee high, this song. 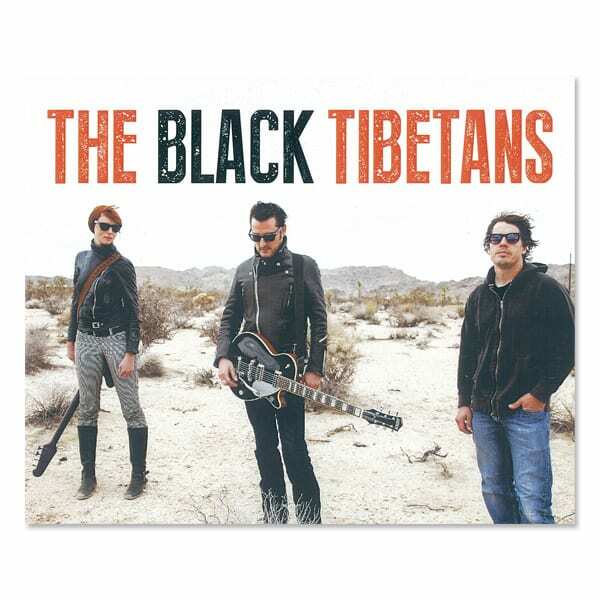 The Black Tibetans – “Esmae” was recorded about 7 years ago but still rocks, Dean also is the Co Founder of Dice Magazine. This entry was posted in Blog, Style and tagged Hump Day, music, rock n roll, Samantha Fish, the Black tibetans, Toby Lee.